Globally, one-third of food produced for human consumption is wasted. Food waste costs Australia A$20 billion each year and is damaging our planet's resources by contributing to climate change and inefficient land, fertiliser and freshwater use. And it's estimated if no further action is taken to slow rising obesity rates, it will cost Australia A$87.7 billion over the next ten years. Preventable chronic diseases are Australia's leading cause of ill health, and conditions such as coronary heart disease, stroke, high blood pressure, some forms of cancer and type 2 diabetes are linked to obesity and unhealthy diets. The first of the Australian dietary guidelines is: "To achieve and maintain a healthy weight, be physically active and choose amounts of nutritious food and drinks to meet your energy needs." In 2013, researchers defined three principles for a healthy and sustainable diet. The first was: "Any food that is consumed above a person's energy requirement represents an avoidable environmental burden in the form of greenhouse gas emissions, use of natural resources and pressure on biodiversity." Ultra-processed foods are high in calories, refined sugar, saturated fat and salt, and they're dominating Australia's food supply. These products are formulated and marketed to promote over-consumption, contributing to our obesity epidemic. Author Michael Pollan put it best when he said, "Don't eat anything your great-grandmother wouldn't recognise as food." In response to the financial and environmental burden of food waste, the federal government's National Food Waste Strategy aims to halve food waste in Australia by 2030. A$133 million has been allocated over the next decade to a research centre which can assist the environment, public health and economic sectors to work together to address both food waste and obesity. One of Brazil's five guiding principles states that dietary recommendations must take into account the impact of the means of production and distribution on social justice and the environment. The Qatar national dietary guidelines explicitly state "reduce leftovers and waste". 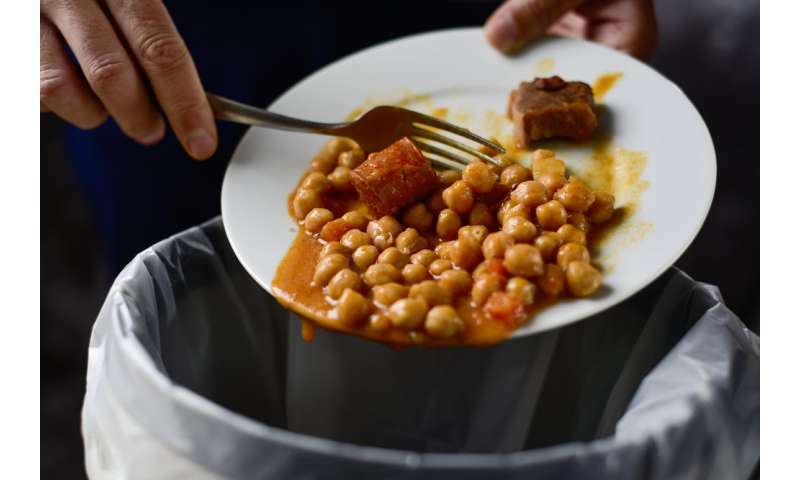 Many would be surprised to learn Australia's dietary guidelines include tips to minimise food waste: "store food appropriately, dispose of food waste appropriately (e.g. compost, worm farms), keep food safely and select foods with appropriate packaging and recycle."